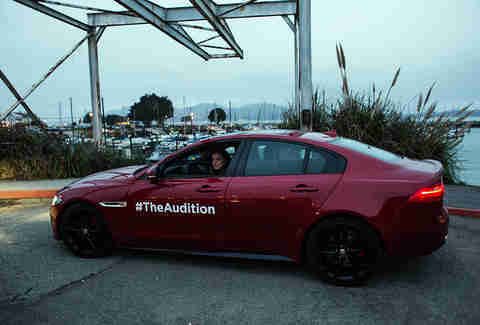 And even with that snarky track worker’s comments haunting me to this day, I managed to take on the Jaguar XE -- and so can you -- at Jaguar's The Art of Performance Tour, a multi-city, nationwide event where anyone can be among the first to test drive the all-new Jaguar XE, get digitally placed in an action-packed short movie, and experience a closed autocross course with a pro driver at the wheel. 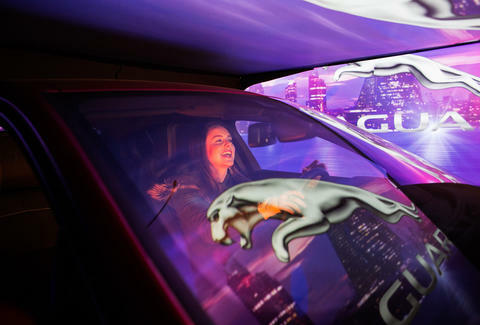 This isn't a car show -- you'll be treated to an individualized car experience that goes way beyond ogling the shiniest new Jaguars (though there's plenty of that too). 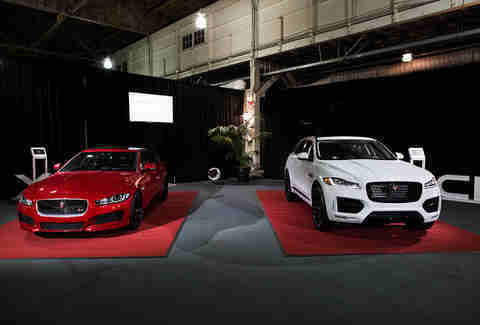 I went to the show in San Francisco, meaning that while I was excited to see the next generation of Jaguars, especially the XE and the F-PACE, Jaguar’s first-ever performance SUV (I need a lot of space for one giant, slobbery dog), I was worried about the whole test drive part. Like, really? They were actually going to let me to take this fancy car out on the legendarily difficult streets of San Francisco? Were we sure this was a good idea? Didn’t anyone care about the fact that I’m often passed by big rigs on the road? But before I could burn real rubber, I was in for a tour of the cars and a little movie magic. Upon arrival, you get to inspect basically every new model of Jaguar, and you can kick the tires (gently), sit in the drivers’ seats, and breathe in enough new car smell to put any autophile in paradise. After checking out and sitting in the F-PACE and totally not making vroom noises, I was immediately whisked off into hair and makeup to get ready for my short film debut. Once the glam squad was finished, I was taken to a movie set where I slid into a stationary XE placed against a green screen. The director guided me through a series of reaction shots based on a pretty impressive pre-shot car chase scene and, bam, we were done. The entire film arrived in my inbox just 15 minutes later. And I don’t want to brag, but clearly, I missed my calling; I haven’t stopped practicing my Oscar speech since. See for yourself! While I didn’t get to do that, what I did get to do was even better. After returning to the lot, Davy Jones (still the racecar driver and not the Monkee) walked me over to a closed autocross course where he got behind the wheel and I sat shotgun. Turns out there’s a reason Jaguar hired this guy. And that XE? It can go fast. It easily whipped through the course, with handling so smooth I never felt jarred. And now I really, really, really hate my slobber-and-hair-covered ‘05 wagon. The Art of Performance Tour is making its way to a city near you. 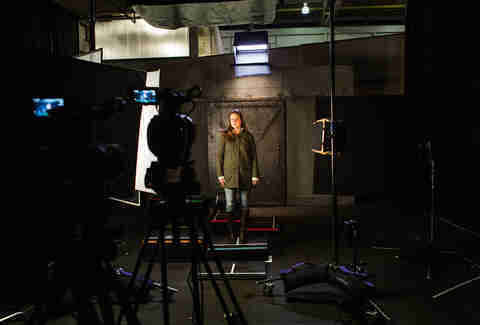 Check it out and star in your own performance of #TheAudition. See you on the red carpet! Daisy Barringer is an SF-based writer who now feels an equal amount of love for Davy Jones the Jaguar racecar driver and Davy Jones who sings “Daydream Believer.” Follow her on Twitter @daisy.